Sam Querrey, with a 6-3, 6-4 Round-of-16 victory over Feliciano Lopez, is the last American singles player standing and is the lone player, man or woman, still eligible for the tournament bonus of $1 million for the winner of both the singles and doubles titles. Querrey, the No. 18 seed, advanced to his first quarterfinal in Indian Wells in 13 tries. Is it just a matter of allowing those moments to pass, she was asked? Halep said getting angry at herself was exhausting. Tennis fan Will Ferrell joined Jim Courier and Mary Carillo in the Tennis Channel booth at the start of the Roger Federer–Jeremy Chardy fourth-round match, and as expected, all sense of broadcast decorum soon departed. After urging viewers, “Let’s watch the pageantry” of the coin toss, he also had a suggestion for Chardy, who upset then-No. 4 Federer in Rome in 2014. “In the middle of his toss, just yell out ‘Rome,’” said Ferrell. In just three matches, American Caroline Dolehide led the women’s field going into the quarterfinal round with 22 aces. Aliaksandra Sasnovich had 15 aces over three matches, but also 31 double faults to lead all players. Petra Kvitova and Yulia Putintseva have played the longest match of the tournament at three hours, 17 minutes in the second round. 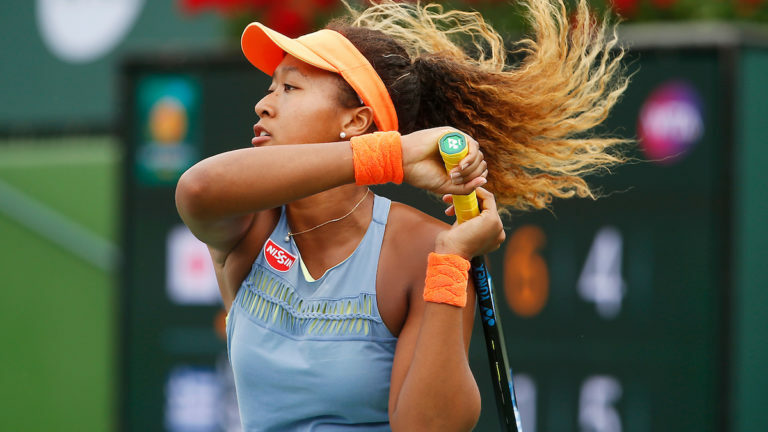 Three matches have gone exactly one hour to claim the shortest so far: Amanda Anisimova’s win over Anastasia Pavlyuchenkova in the second round; Marketa Vondrousova’s third-round victory over Aryna Sabalenka; and Sofia Kenin’s 6-2, 6-0 first-round win over Claire Liu. Marcos Baghdatis, ranked No. 102, was forced to pull out of his Round-of-16 matchup with Canada’s Milos Raonic, citing illness.